SGB Outdoor | GP Batteries Strong Retail Support & Top Performing Batteries Offer Retailers a Unique Proposition – Isn’t it Time to Change Your Battery Supplier? SGB Outdoor > News > Archived Content > Product News > GP Batteries Strong Retail Support & Top Performing Batteries Offer Retailers a Unique Proposition – Isn’t it Time to Change Your Battery Supplier? World-leading supplier of primary and rechargeable batteries GP Batteries is calling on retailers to reconsider their existing preferred battery brand and switch to GP in order to profit from the valuable support and benefits the company offers its retail partners. One of the top five battery manufacturers worldwide, with over 50 years of experience in manufacturing batteries and developing battering technology, GP offers a unique proposition for retailers. Producing over four billion batteries a year, GP offers significant scale and global reach and is one of the few battery brands that manufactures and sells all types of batteries, making it a one-stop-shop for retailers. GP’s cells offer top performance at an affordable price, demonstrating that it’s possible to have high-quality batteries from a battery brand without paying a premium. A key USP for GP is that it works closely with its retailers and distributors to enable them to offer consumers a different choice to market-leading brands. By investing in relationships to better understand its customers’ businesses, GP is able to implement strategies to drive retailers’ sales forward. GP’s range includes single-use and rechargeable batteries suitable for a large variety of products and appliances, including electronic toys, digital cameras and electronic gadgets, as well as specialist batteries for watches, car keys, hearing aids and smoke detectors. 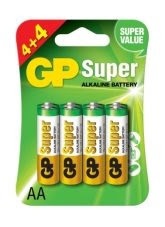 GP Ultra alkaline batteries are available in AA, AAA, C, D and 9V sizes. Specially designed for the most popular portable electronic devices, these high-performance batteries have a superb operating time in all kinds of battery powered devices and a shelf life of up to 7 years. GP Batteries is the world’s largest rechargeable battery manufacturer – making 23% of the world’s rechargeable batteries. With the ‘Blue Planet’ effect now urging consumers to think more wisely about environmental waste and their purchasing decisions, rechargeable batteries are fast becoming an attractive proposition for shoppers and sales of rechargeable have grown by 20% in the UK in the last 12 months. GP’s experience and knowledge in rechargeable batteries are second to none and they can offer retailers the best product and support in this category.GP’s ReCyko+ rechargeable NiMh range offers 11 different batteries in AA, AAA, D, C and 9v sizes. Key to the collection, the GP ReCyko+ Pro batteries are one of the best performing rechargeable batteries on the market. 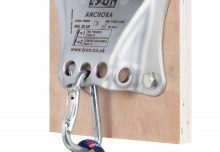 With an incredibly long service, they are not only cost efficient but are also much kinder to the environment. Marketing Manager for GP Batteries UK, James Tuck said: “Many retailers have been stocking the same well-known battery brands for years; more often than not out of habit and it can be unsettling to consider moving to something new. But if there are significant service and performance benefits to be had by switching – not just for them but also for their customers, then maybe it’s time for a change?